Have you ever wanted to keep your car well organized and clean? How about converting the backseat into your own cinema or restaurant? That’s exactly what you can do with our new back seat organizer. There’s hardly anything worse than an unorganized and messy car. Just ask parents with kids. Without some kind of seat organizer in place, your child’s items can start to pile up and take over your car. If you are looking for a car seat organizer with plenty of storage space and options, look no further than this model. Our car back seat organizer designed with a number of pockets and compartments and even has a pocket to hold your tablet up to 10.1” in size. 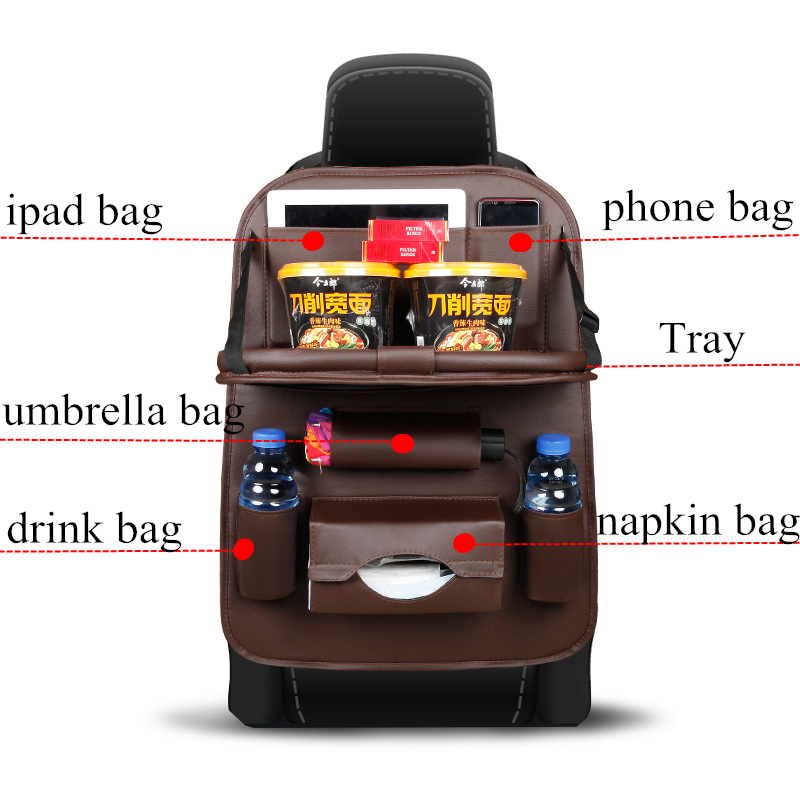 With its cup holders and folding table, this car organizer is a great companion on long trips where you don’t need to take breaks for a lunch. You can have it in your car!